For this project, the goal was to study the western window assemblies of the Strozzi Building to determine cause of water infiltration during periods of rain accompanied by high winds, and provide corrective recommendations. The windows that were tested were selected by the facility in lieu of actual problem windows that were unknown at the..
HHL Architects was engaged to develop a system of interior design to make this major hospital fun for children and adults to be in, and to develop a system of graphics to facilitate the location of departments and clinics – both in a new addition as well as in existing buildings. Combinations of primary colors.. The City of Buffalo wanted a parking ramp designed that would serve both the hospital and the retail shopping area of Elmwood Avenue. The solution was to build a four-level parking structure comprised of pre-cast concrete structure and walls as well as masonry stair and elevator towers. The ramp holds 597 cars with space for..
HHL Architects was engaged by the building owner to evaluate the problem of exterior staining and water damage on this two-building complex. Water staining, due to improper drip edges and ledges and water damage to the Exterior Insulation Finish System, due to improper flashing, necessitated replacement of the exterior skin and some of the architectural..
HHL Architects planned and designed multiple renovations and additions for virtually all the buildings located on the campus over a seventeen-year period. HHL creatively developed designs which involved efforts to “humanize and de-institutionalize” the residential, therapy and educational spaces as well as improve the outdoor recreational areas. A strategic selection of colors and materials helped.. The Research Institute on Addictions occupies a five-story, early 20th century building on Main Street adjacent to the Downtown core. 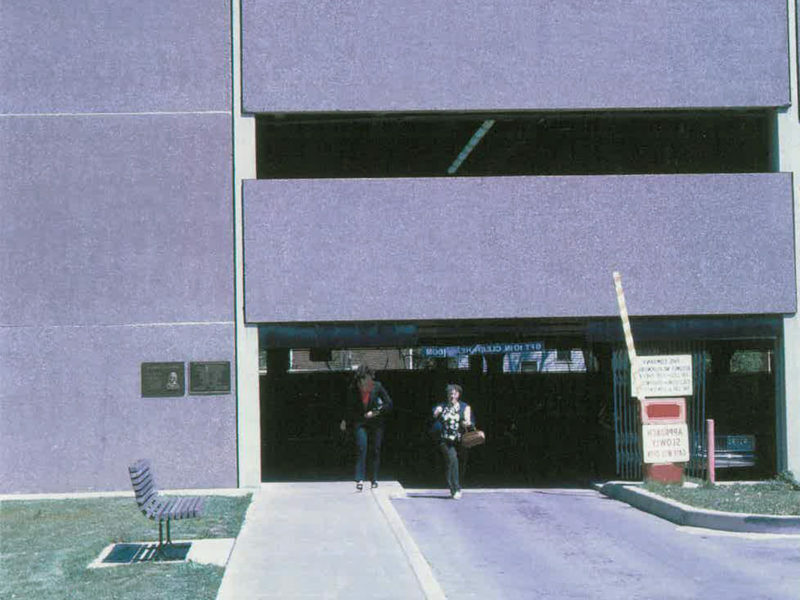 Our renovations began in 1973 with the creation of research laboratory space, education space and administrative areas housed in about 75% of the building. Funding over two decades allowed for the design of the clinical..
HHL Architects designed an addition to the existing hospital for emergency health services. Included was providing handicapped access for spaces used by patients and staff, such as exam rooms, orthopedics, minor surgery, x-ray, trauma, cardiac care, treatment, gynecology, isolation, and an expanded overnight observation area with new equipment for intensive care. The emergency suite at the Glen Cove Hospital posed the problem of maintaining uninterrupted full service while expanding and renovating the existing space. “Swing space” adjacent to or outside the unit was unavailable and the problem was intensified by a tight site condition. The design concept evolved from a programmatic requirement for individual, private treatment..
HHL Architects teamed with Regan Development to design the adaptive reuse of 19 Doat Street into a new mixed-use, +/-70 unit, affordable apartment building and health care facility in Buffalo’s East Side Fillmore Neighborhood. The historic 110,000 square foot, four-story and two-story buildings will be adaptively reused to accommodate the affordable housing program, providing a..
HHL Architects designed the redevelopment of the Swinburne Building into a mixed-use, 70+ unit, market-rate and affordable apartment building located in Albany’s Beverwyck Neighborhood of the Central Avenue Business Improvement District. The five-story building will have a smaller four-story wing attached behind. The project is designed to comply with the City of Albany Unified Sustainable..